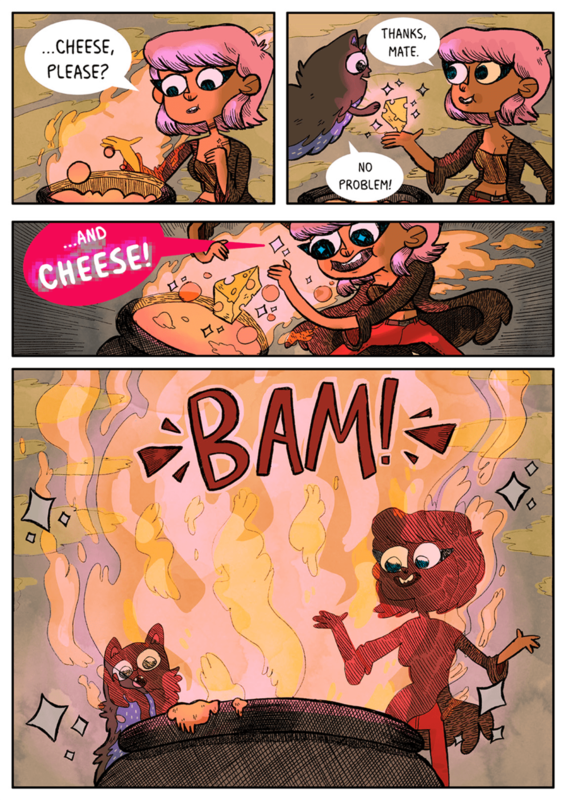 Join ROxy, a pizza witch, and george, her black cat familiar, on a quest to get a date with a lactose-intolerant babe. Can they tackle monsters, magic and cheese-free pizza in 30 minutes or less? Your Favourite Pizza Witch was first self published in September 2015 as part of a stretch goal on my Our Super Adventure Kickstarter! 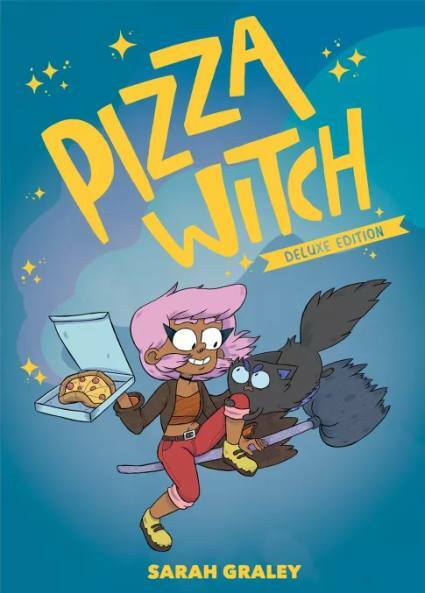 Pizza Witch has since been reprinted in a deluxe hardback edition with a fancy cover with gold-embossed text, a relettered version of the original comic, a short bonus Pizza Witch strip and loads of extra behind-the-scenes stuff like sketches, character sheets and original thumbnails. It’s an excellent gift for the pizza witch in your life, even if that pizza witch is you. What people have said about pizza witch! "Graley’s work has an effervescent energy and inclusive worldview that recalls Boom Box! titles like Lumberjanes and Giant Days. As with those titles and all the pop punk songs you loved in high school, there’s also an honest emotional core to Roxy’s adventure that belies the more fantastical elements." "Colorful, clever, and cute-as-a-button, Pizza Witch is the perfect little detour into a fun and ridiculous world of humor and magic." "Pizza Witch is as silly and fun as the title suggests." 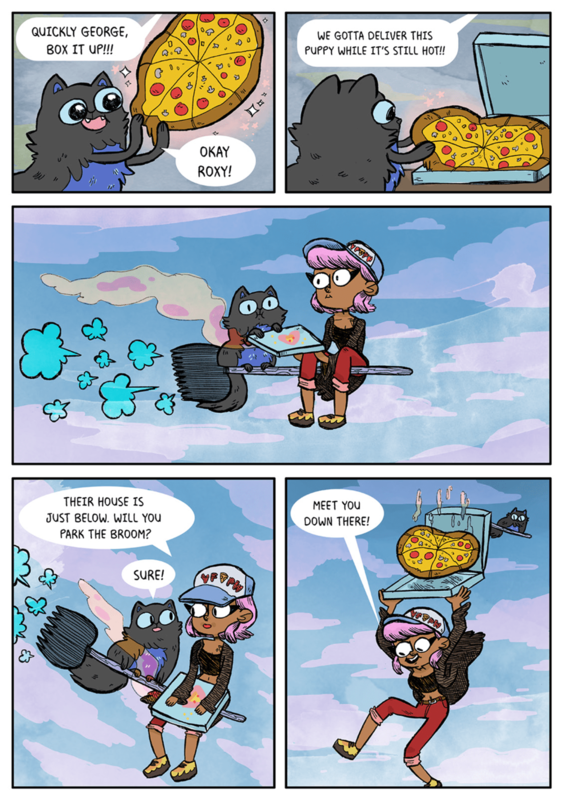 "Pizza Witch‘s titular pizza witch, Roxy, is exactly my kind of hero. She’s funny, she’s brash, she’s a talented chef, she’s queer, she’s a witch and she’s stylish." 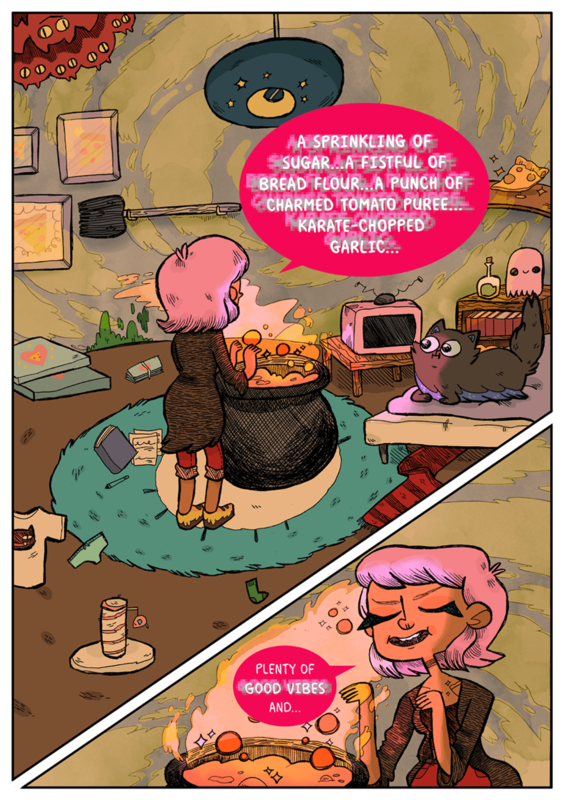 "Sarah Graley's work is charming beyond words, and Pizza Witch is no exception. This comic is cute and hilarious, and you'll find yourself immediately invested in Roxy's adventure!"